Hoppity started out as a school project but has since then turned into a side project. Given that there is no app on the market for rabbit owners (although lots for dog and cat owners), I believe that an app to help rabbit owners find reliable information fast is crucial to rabbit care. There are lots of websites for rabbit owners but not all of the information is reliable. Therefore, I am working an app for rabbit owners. This is Peanut, my old rabbit. I used to own a French Angora. He was super fluffy and probably shouldn't have been kept outside, especially in the summer. But due to the many situations I came across with him, I would have found a rabbit app very useful at the time. He also enjoyed watching Youtube videos with me. 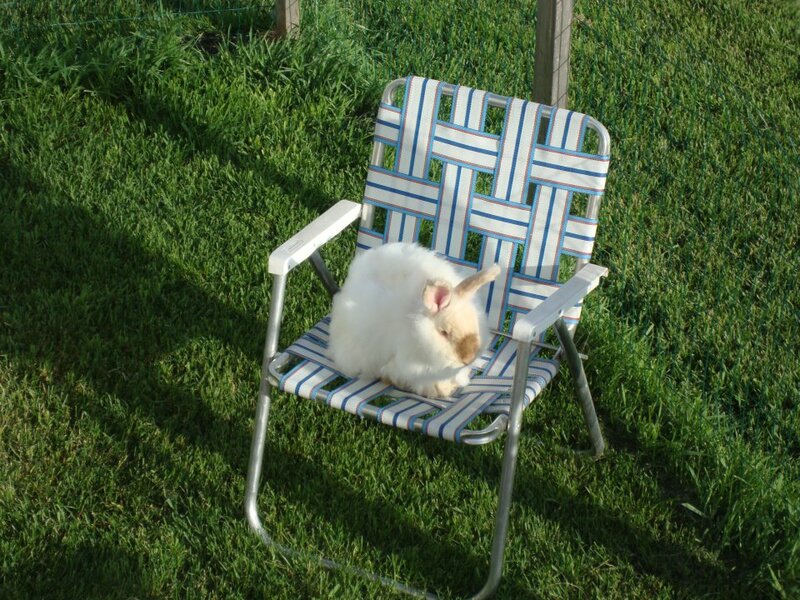 He enjoyed stealing my chair when I was not out there. Due to the many differing opinions about how to take care of a rabbit, I've been reaching out online to rabbit owners to discover how they take care of their rabbit, if they too would find an app useful, and other statistics about their rabbits. My goal is to narrow down the number of pages to get to the bottom of useful information. Note this is a small sample of my data. If you would like to participate in my survey, please click here. After narrowing down my top catagories, I've created some new mockups of my previous design. Here are some sketches I've made. I'm still in the process of getting feedback and reaching out to people who might be interested in the app such as vets, breeders, adoption agencies, etc. But I'm hoping to have another round of user testing with the new design soon.